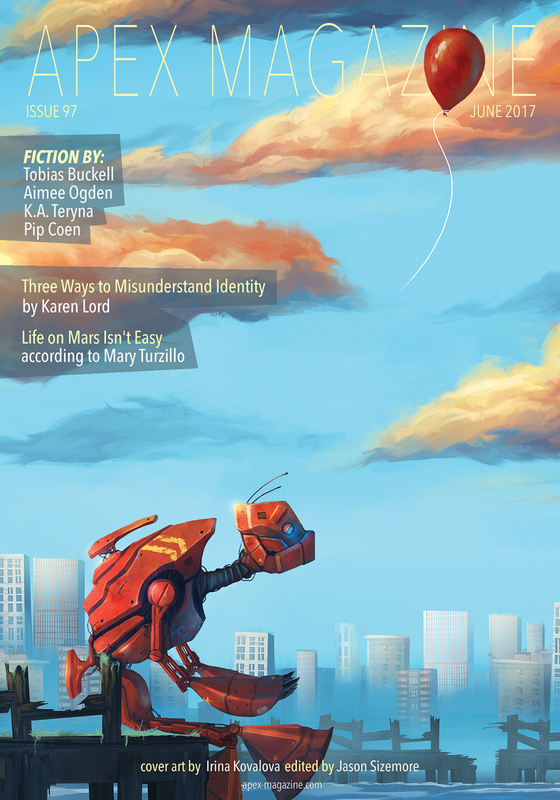 "Welcome to Astuna," by Pip Coen [bio] (edited by Jason Sizemore), appeared in Apex Magazine issue 97, published on June 6, 2017. Young Jane admires her scar—we can see how she ended up in espionage. She respects how athletic older Jane’s body is—it has to be, for the fighting she has to do. The deleted memories that let Jane pass the scanner. Everything we learn about Thirsk make us unsympathetic to him; We know Jane is going to kill him, but we're okay with that. All the details are neatly tied together with a bow on top. Astuna is a Basque word meaning "heavy," but, when applied to a person, it can also mean "stupid." It might just be a coincidence, but it seems to apply very well to the typical customers of such a place. Con: There are no likable characters in the story. Jane herself is a jerk—and older-Jane is an assassin. I felt like this was just getting started when it was over. Grin. You wanted to read about Jane's further adventures, eh? I can sympathize. But this mission was clearly complete.